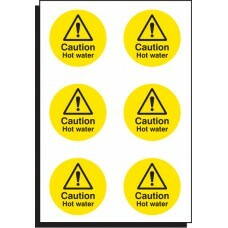 Our most popular safety symbols are available on handy sheets making them an economical alternative to buying individual signs. Easy peel. 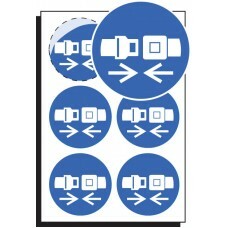 Self adhesive labels are supplied ready cut to peel off and apply. 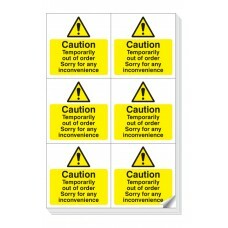 Conveniently supplied on rolls of 100, or on sheet format. They are easy to store and easy to use. Call us for a quote If you cannot find the label you require and we will be happy to quote for your requirements. 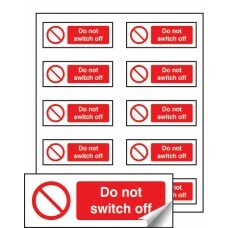 These "Do not switch off" labels have been designed for use on plugs and electrical sockets to prevent essential electrical equipment from being turned off. Miscellaneous Products / MaterialsAny prod.. 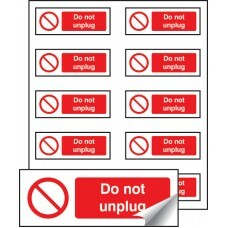 These "Do not unplug" labels have been designed for use on plugs and electrical sockets to prevent essential electrical equipment from being turned off. Miscellaneous Products / MaterialsAny product .. These "Do not use socket" labels have been designed for use on electrical sockets to prevent essential electrical equipment from being turned on. Miscellaneous Products / MaterialsAny product outside.. 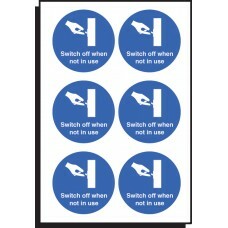 These electrical hazard labels are designed to comply with amendment no. 2 to BS 7671:21. 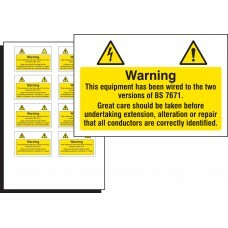 Warning, This equipment has been wired to the two versions of BS 7671. 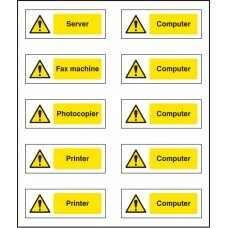 Great care should be taken before under..
Sheet of 6 self adhesive labels to identify plugs for office equipment Miscellaneous Products / MaterialsAny product outside of our standard choice of material/size range starts with a 5. This may in.. 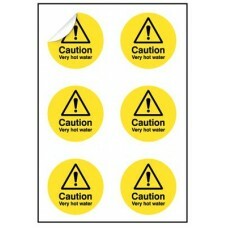 This sheet provides you with six caution hot water stickers that are perfect for locating above appropriate taps. Economic and easy to use, a simple solution to ensure visitors / employees are not sca..
Solvent based ultra removable adhesive on gloss PVC film for short-term applications. Utilises pressure sensitive adhesives for short-to-medium term applications. Ideal for use where the warning messa.. 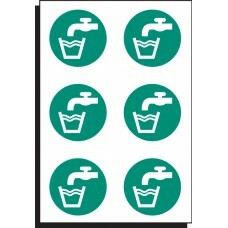 This sheet provides you with six drinking water stickers, perfect for locating above appropriate taps. 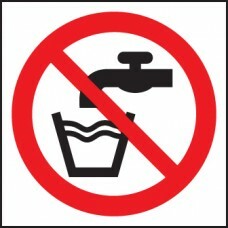 Economic and easy to use, a simple solution to ensure visitors / employees don't use taps unsafe .. 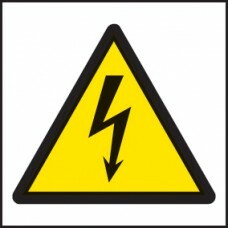 The Control of Vibration at Work Regulations 2005 seeks to restrict staff exposure to vibration. 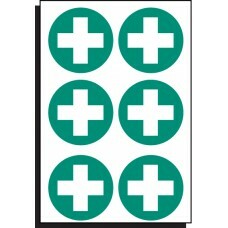 A green triangle identifies low risk and maximum daily usage of 8 hours per day. Miscellaneous Product.. 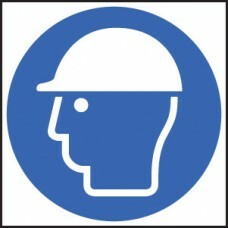 The Control of Vibration at Work Regulations 2005 seeks to restrict staff exposure to vibration. 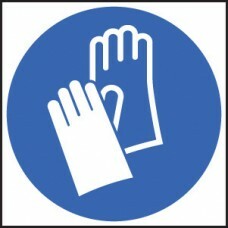 Without appropriate control, Hand Arm Vibration Syndrome (HAVS) and the resulting Vibration White Finge.. This sheet provides you with six not drinking water stickers, perfect for locating above appropriate taps. 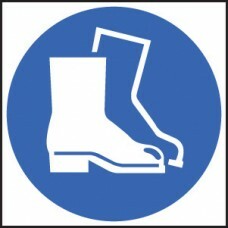 Economic and easy to use, a simple solution to ensure visitors / employees don't use taps uns.. The Control of Vibration at Work Regulations 2005 seeks to restrict staff exposure to vibration. 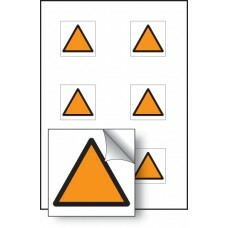 A orange triangle identifies medium risk and maximum daily usage of 2 hours per day. Miscellaneous Pro.. 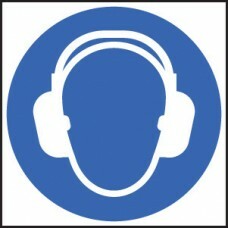 The Control of Vibration at Work Regulations 2005 seeks to restrict staff exposure to vibration. 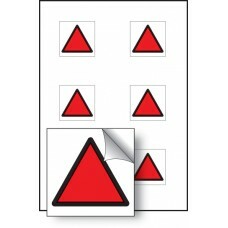 A red triangle identifies a high risk and the need to assess the risk accordingly. Miscellaneous Produ.. Ensuring electrical appliances and/or lights are switched off when not in use saves energy resources, reduces our carbon footprint and conserves our natural resources. 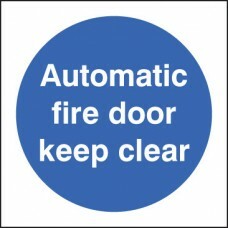 Using self adhesive stickers as ..
Every fire door should have an appropriate "Fire door" sign fitted. 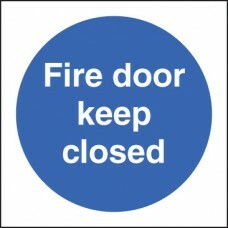 Where doors can be used from either side a sign is required on both sides. 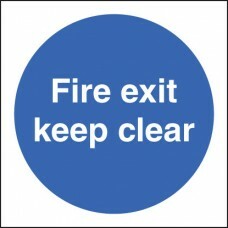 Doors which open on to a fire escape corridor should be l.. 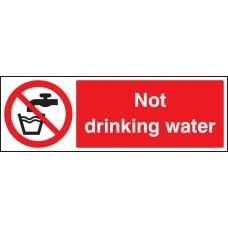 Gloss white non-rip polypropylene with permanent adhesive to ensure the label will stay in place. 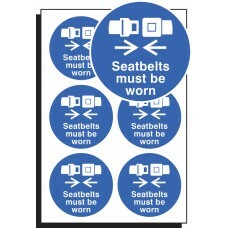 Clearly identify areas free from asbestos materials with these self-adhesive labels. Material Options .. 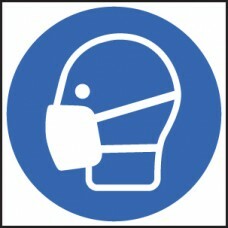 Mandatory Signs Inform employees and visitors what PPE is required to be worn Material Options Explained Below is a more detailed description of the materials this particular safety sign is available.. 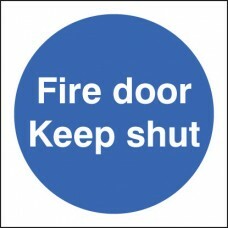 When installed outside, place this sign on the wall either to the opposite side to the door's hinges or above the door. Material Options Explained Below is a more detailed description of the material.. 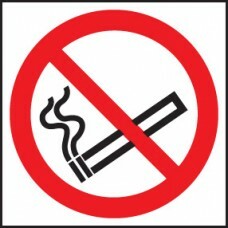 Prohibition signs relating to smoking and naked lights Material Options Explained Below is a more detailed description of the materials this particular safety sign is available in. Helping you decide.. 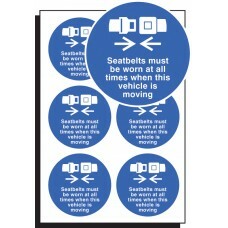 Indicates an action or behaviour that must not be committed Incorporates a red circle with a diagonal line ISO 7symbols (black) and supplementary text (white on red) can be added. Material Options Exp..